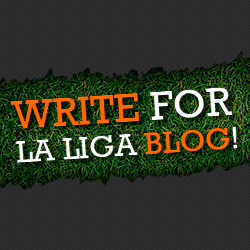 To all those Spanish football enthusiasts out there who have an opinion or two they’d like to share, why not try your hand at writing for La Liga Blog?! If your article’s are original and related to either La Liga football or the Spanish national team then we’d like to hear from you! Get your written work seen by hundreds of like-minded Spanish football fans every week! Get yourself noticed and become the authoritative voice on Spanish football. Who knows where it could lead? Get exposure for your very own blog or football website. 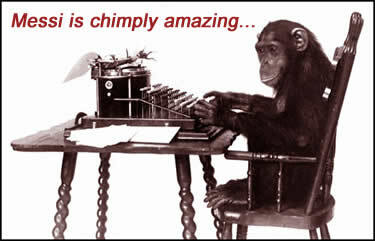 Write a scintillating, completely original article on Spanish football (of at least 600 words). Email the article to andy(at)laligablog.com and tell us a little bit about yourself! Once your article has been reviewed and placed online, get promoting it by any means necessary! For any other queries or just for a general chat email andy(at)laligablog.com or use the contact form below! If not, we hope to see your contributions on our site very soon!